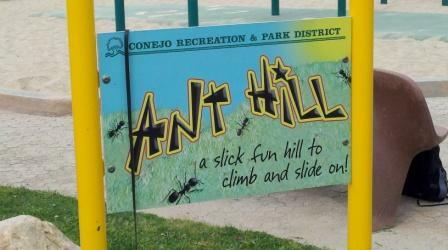 The Ant Hill at Thousand Oaks Community Park is a small hill made with artificial grass covering that provides a fun play slide area for kids. Bring some cardboard! 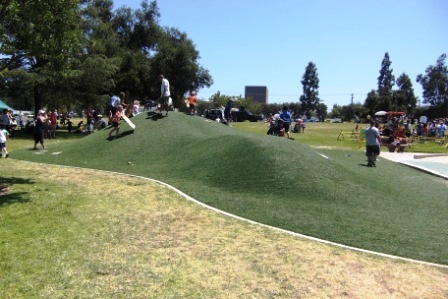 It is located adjacent to a nice playground area and the tennis courts. 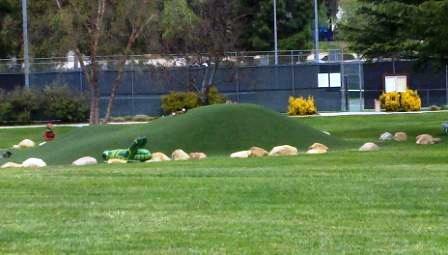 The park is at 2525 N. Moorpark Road.